I am always looking for fast and fun ideas for the kids lunches. 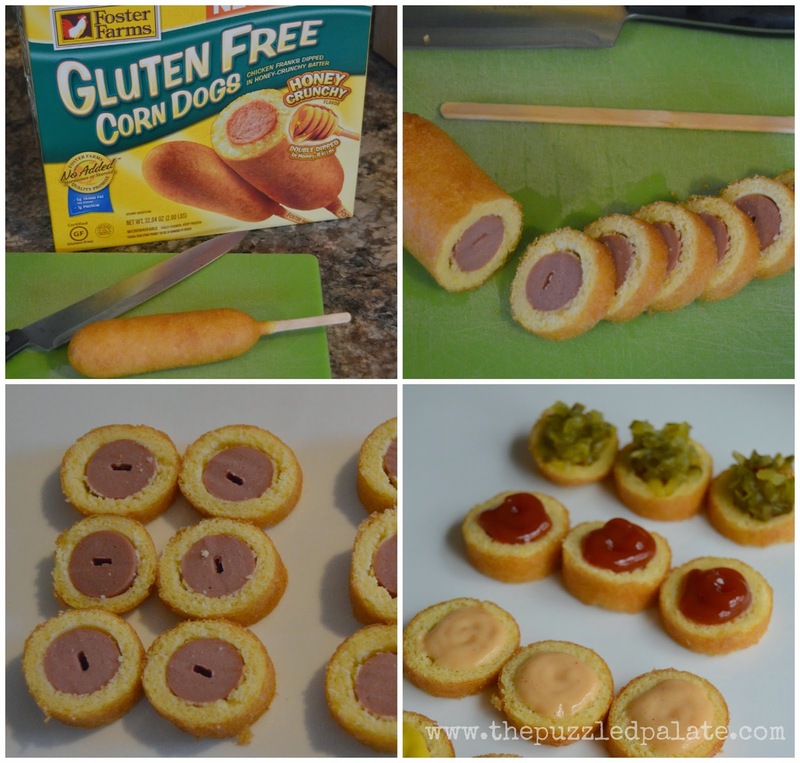 The other day, we were taste testing Foster Farms' gluten free corn dogs and I simply slid them off the stick and sliced them up for the kids. I thought I was just being cautious about the temperature- but M immediately made the observation that they looked like sushi. 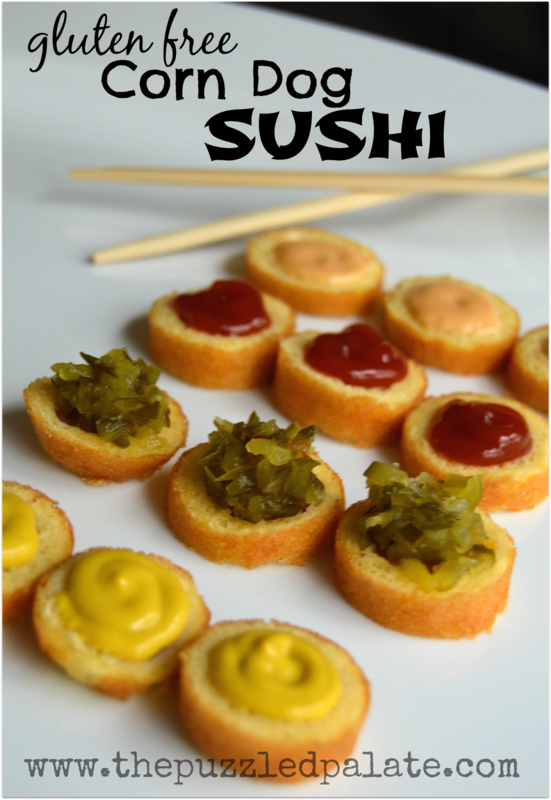 Yep, corn dog sushi. I offered the kids a few different dipping sauces to dress up our "sushi." 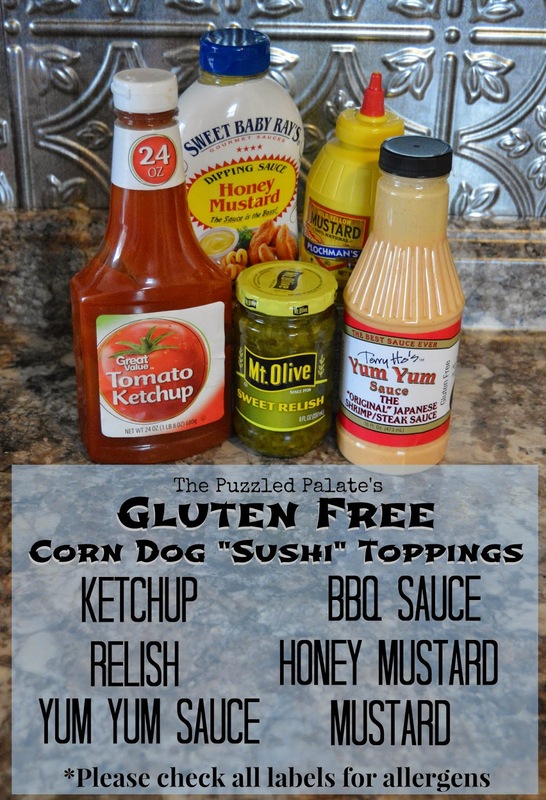 The kids had fun decorating their corn dog bites and it was a nice quick gluten free meal. On a side note, I am not normally a fan of corn dogs in general. However, for the sake of being honest with my readers... I tried a bite off of M's plate. When I went back for my second bite, M promptly directed me to go get my own. I just walked to the freezer and grabbed and popped it in the microwave for a few seconds before sitting down with the kids to decorate my own "corn dog sushi" The breading has a nice sweet honey flavor and the perfect texture. They were pretty dang good if you ask me and the kids where to busy eating to give me the GF thumbs up! To learn more about Foster Farms and their products, check them out on Facebook, Twitter or hop over to their website. 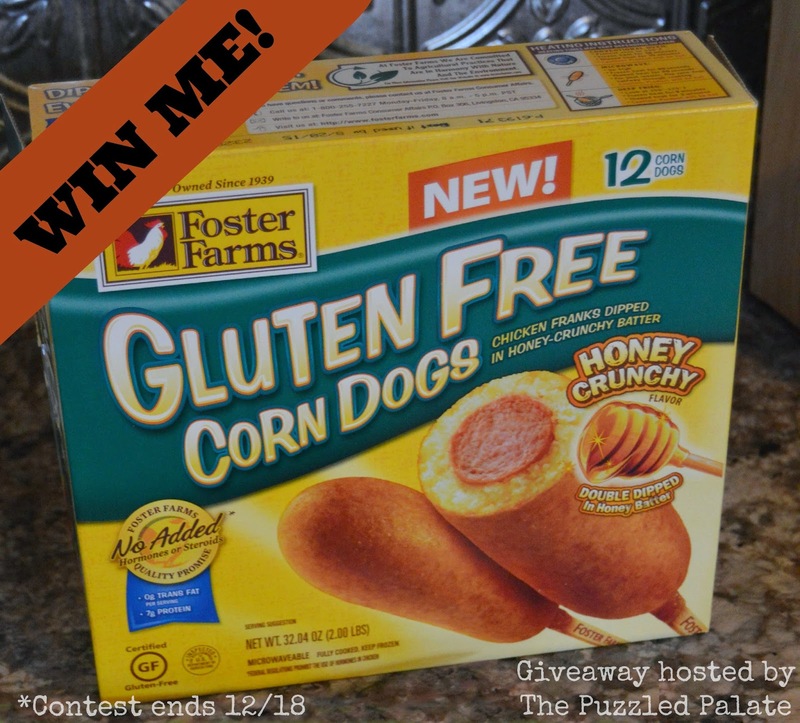 If you are interested in trying out Foster Farms' gluten free corn dogs, you can enter here to win your own box! The good folks at Foster Farms have offered to ship one of our lucky readers their very own box! The Puzzled Palate and any other bloggers involved in this giveaway were not compensated for their participation. Foster Farms is solely responsible for the fulfillment and shipping of the prize. The product will be shipped in the appropriate refrigeration to the winner's front door. Contest open to US residents only. Void where prohibited. 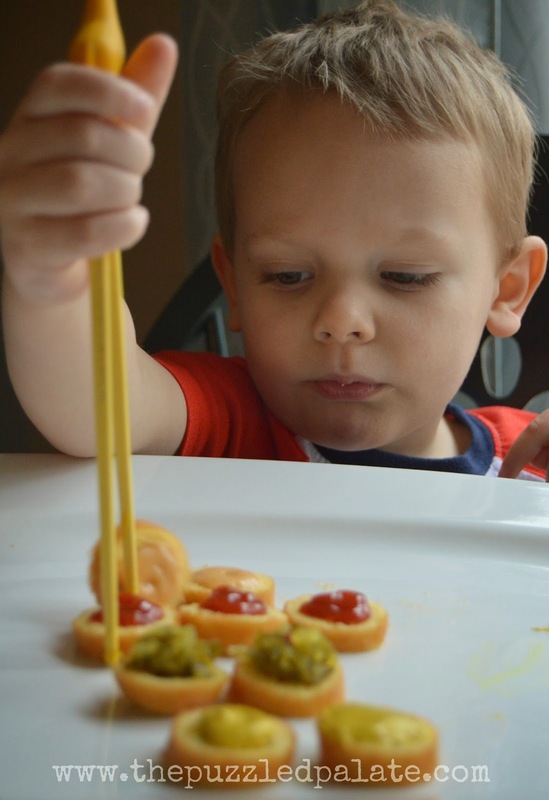 What does your family do for a fast and fun meal? we like cutting PB&J sammies into shapes... guarantees a clean plate. We usually do quesadillas for a quick and easy meal. The girls love adding black beans. Baking is one of my favorite things to do. I love collecting cookbooks and this one looks great! I just entered. As a person that is gluten-free I need this book. I always feel left out at holiday parties without being able to eat the desserts. Yum! Samoas are my favorite, so those Girl Scout Brownies sound fabulous! Looks like a great cookbook!! This looks like a great cookbook. My kids would like a cookbook now that they are out on there own. What a wonderful book! It is great there is a recipe book to cater to those with allergies and who choose to eat Vegan. We love baking banana bread for our favorite people around the holidays! What a lovely book! IT looks REALLY good! I need to flip through these treats! Yum.. this looks great. I entered, would be great to win that cookbook. I've always wanted to try baking vegan recipes. This looks like a good book to start with! My husband was just encouraged to switch to a gluten free diet, so this sounds like a great book. He has a sweet tooth, so this would be a great way for him to still satisfy it without the gluten! I'd like to try the vivid vanilla cupcakes. I like that these sweet treats were designed with most everyone in mind, even those with food restrictions. What a super cute idea! I never would have thought of that! My kids would love it too! I love that there's such a variety of treats too. Easy to follow is for me! This would make an awesome gift for my cousin - we call her the Cupcake Lady, lol! I would love to add this to my collection. The girl scout cupcakes would be first on my list! 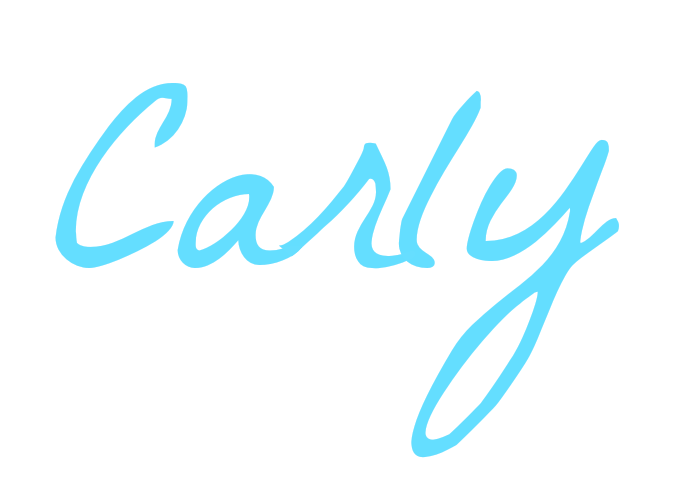 Carly this Sweet Debbies cookbook looks amazing. Thanks for the tasty review and giveaway opportunity! I saw this before but didn't realize how great it was. I passed it along to a friend. I think she might have ordered it even. What a great cookbook! it IS possible to make amazing and delicious vegan and allergy free! Looks like a great cook book. WHat a great giveaway. What a great cookbook! My niece has a lot of allergies and this would be perfect for her! Sounds like a great cookbook! I'm always looking for new recipes. This looks like such a great recipe book to have on hand. I tend to Google recipe ideas to cook stuff with my tween.